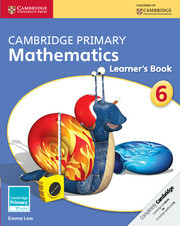 This series is endorsed by Cambridge International Examinations and is part of Cambridge Maths. This teacher's resource for stage 4 will fully support teachers to get the best from their learners and effectively use the learner's book and games book. Detailed lesson plans based on the course objectives are offered, along with additional activity ideas. Teachers will be guided to formatively assess their learners' understanding. 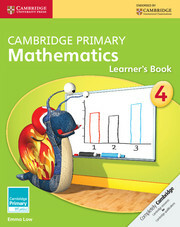 They will have the confidence to engage the class in mathematical discussion and encourage learners to justify answers and make connections between ideas. 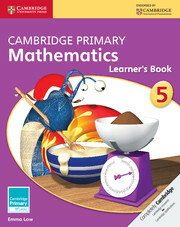 Answers to the learner's book and all photocopiable sheets required are provided. All book content, plus more, is included on the CD for convenience. Mac users please note that CD-ROMS don't autostart when used with Macs they will need to be started manually. If you have any queries please visit our customer support page or contact customer services. Detailed lesson plans based on the syllabus objectives are offered. Additional activities are suggested so you can adapt the lessons to the needs of your learners. Strategies on encouraging mathematical dialogue and advice on formative assessment, differentiation, vocabulary and prior knowledge and a clear objective mapping grid are provided to help you plan your teaching. Answers to the questions in the learner’s book. All photocopiable sheets required are provided. All book content, plus more, is included on the CD for convenience. 25. Venn and Carroll diagrams (2).